It’s amazing sometimes how few people realize the level of importance that their master bedroom’s design has to their overall life. Think of it this way. Provided you’re getting close to your recommended eight hours of sleep per night, you’re going to end up spending nearly one-third of your entire life in your master bedroom. Given that, wouldn’t you want that room to be everything it possibly can be? It just stands to reason. But, despite this, some simply don’t know what they need to do in order to capture that luxury look and feel in their master bedrooms. This is what inspired us to put this list together. 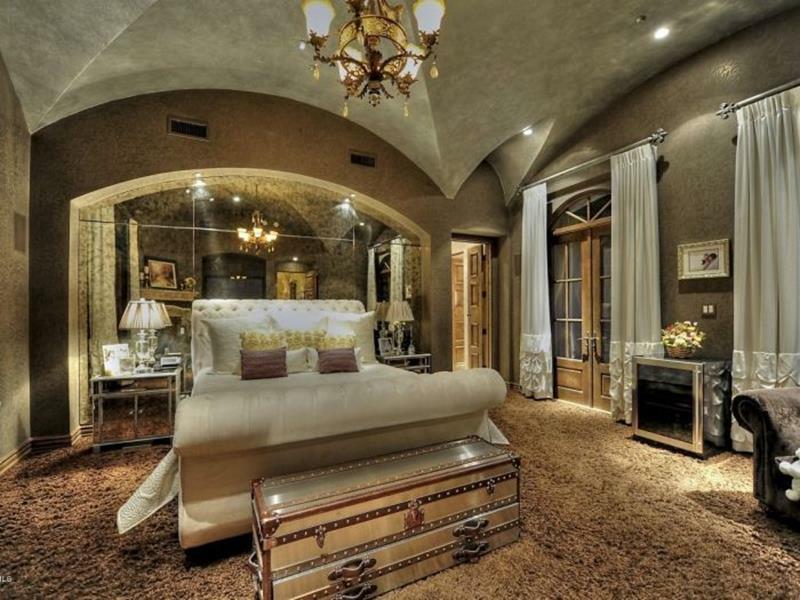 Below, we’re going to share pictures of 20 amazing luxury master bedroom designs. In each, you should be able to find a fountain of ideas for capturing a luxury look in your own home’s master bedroom. So, don’t settle for less for the room in which you’ll be spending so much of your life. Take a look at these luxury master bedrooms and find inspiration for making your own bedroom every bit as beautiful and luxurious as it can be. In a luxury master bedroom, you want to make things about more than just the bed. Provide yourself with plenty of places to sit and relax! 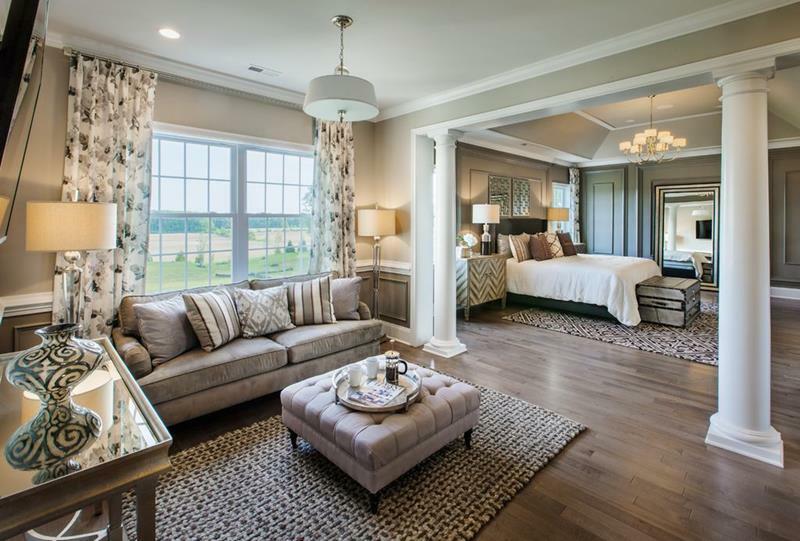 For example, check out the beautiful seating area that’s been placed at the foot of the bed in this luxurious example. If space allows, you can always try to create a whole separate living space within your master bedroom. 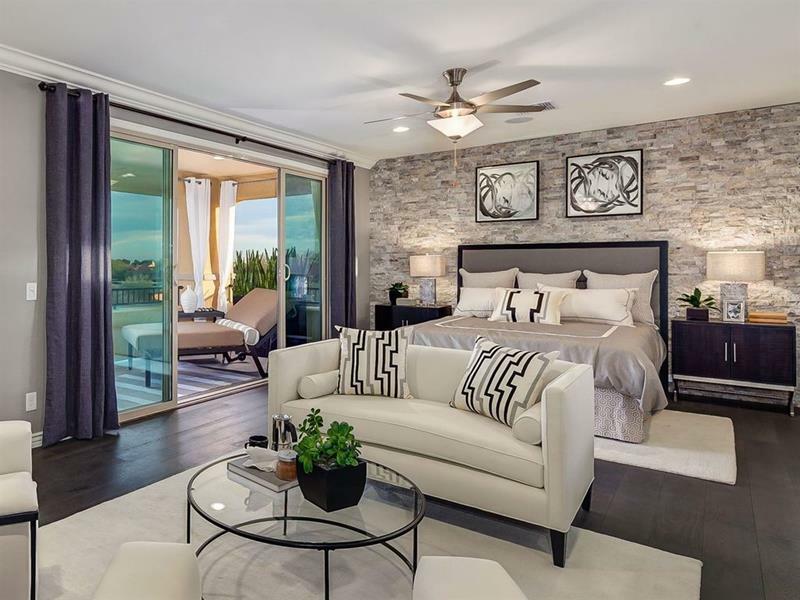 This luxury master bedroom is a perfect example of how mirrors can really increase the sense of space within the room. The way that all of the elements in this room contribute to the grey-and-white color scheme is simply astounding.